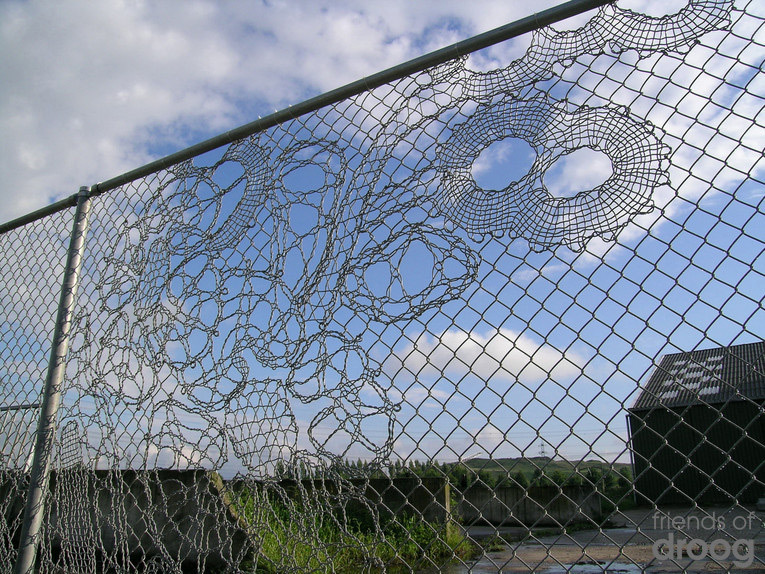 Demakersvan’s Lace Fence. Someday in the future, my backyard will be regraded and landscaped into a sun garden. And at that time, I will have to decide on a fence type. I’ve ruled out the typical wood stockade, because it’s ugly, hostile, blocks breezes, and keeps my dogs from seeing out and my neighbors from seeing in. I would like to share my garden visually with those who walk or drive by. 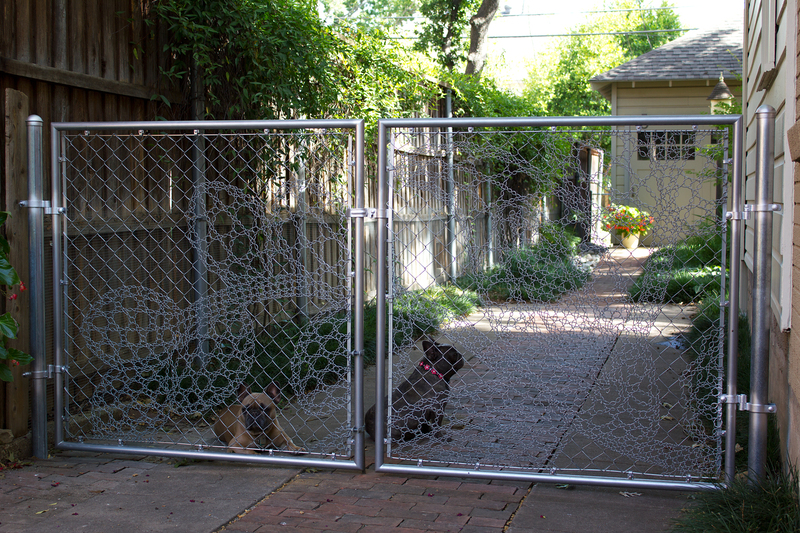 Decorative iron fencing is not an option, because of the expense and the lack of interesting design options. “Boring” is a good word for this type.